We are proud to be an authorized dealer and local representative of the Neopost brand in central and northern Colorado and Wyoming. Neopost is one of the world’s largest providers of mailing solutions, digital communications and shipping hardware and software solutions. 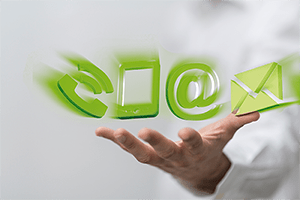 Send, receive and connect your customer communications via physical mail, digital communications and parcels in the most secure, efficient and professional manner possible. Based in France, Neopost S.A. is the number one producer of mailing and shipping products in Europe and the second largest in the world. Neopost is at the forefront of providing innovative solutions to help companies manage traditional mail and customer communications while helping them integrate digital technology to enhance efficiencies and reduce costs. During their 90-year history, they delivered the first electronic postage meter, the first folder/inserters with automated setting adjustments and their renowned digital ink jet mailing systems. The breadth of Neopost’s mailroom equipment, software and services is unmatched. Neopost postage meter Denver for your small business or a large volume mail machine there is a solution that will fit your needs. Consolidate your shipping processes and optimize carrier selection with scalable Neopost shipping solutions, that improve cost-efficiency by comparing multiple carrier rates to determine which is the best option, based n your requirements. Whether you are a large enterprise or are looking for a solution geared to a small or mid-size business, ProShip shipping and Neoship tracking have you covered. With Neopost tracking solutions your company helps you maintain visibility of all important docuemnts, parcels and assets within your company, achieving complete chain-of-custody for every package received. Neopost’s data quality and document management tools reduce costs and increase customer engagement with your communications. Neopost’s products and services are marketed in 90 countries around the globe and this global reach keeps it in the forefront of technology to address changing business needs. However, its authorized dealers bring Neopost’s international presence to the community level by providing unparalleled expertise and support. Neopost’s local dealers evaluate your specific business needs, make recommendations to fit your budget and provide on-going support. Local presence reduces transit time to your business and ensures issues are fixed with minimal downtime.